Designed to suit your style and décor. Providing security for your property. Designed to be functional and versatile, while providing security for your property. Golden West Security provide excellent security doors, shutters, locks and enclosures for all residential and commercial properties. Our patio enclosures are floor to ceiling glass or metal screens that enclose your patio, provide you with protection, keep the insects at bay, and still allow for an uninterrupted view of your garden. 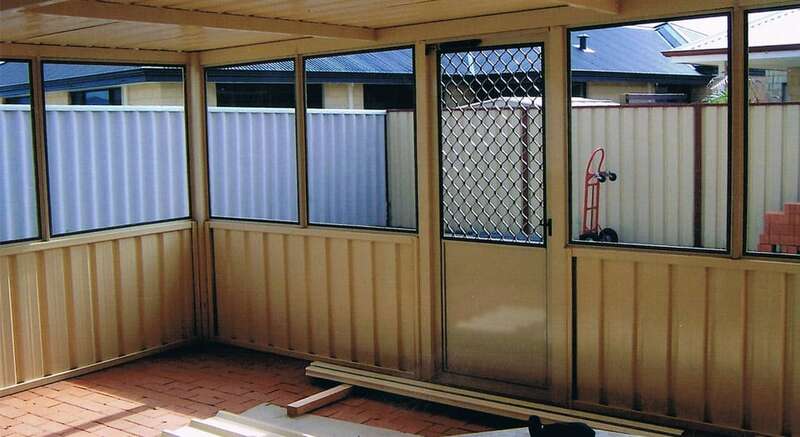 Produced to withstand the harsh Australian elements, all Golden West patio enclosures are made with treated coatings and durable finishes. Designed to be functional and versatile, our enclosures offer UV resistance and minimizes light reflection, while providing security for your home and business. for all of your patio enclosure requirements. Customised enclosure to suit your style and décor at our state of the art workshop. We will customise your enclosure to suit your style and décor at our state of the art workshop, and make sure it complements your interior and exterior vision. All our products are designed and manufactured at our fully equipped facilities, and every piece is made with the highest quality components ensuring optimum functionality, and longevity.